Restaurant Scans Faces, Lets Beautiful Folks Dine for Free | OhGizmo! By Hazel Chua on 01/14/15 • Leave a comment! We live in a world where beautiful folks are constantly rewarded. From extra boosts to their career to special treatment, you name it, they’ve probably taken advantage of that perk– the latest being a meal on the house if you’re prettier than the average human. 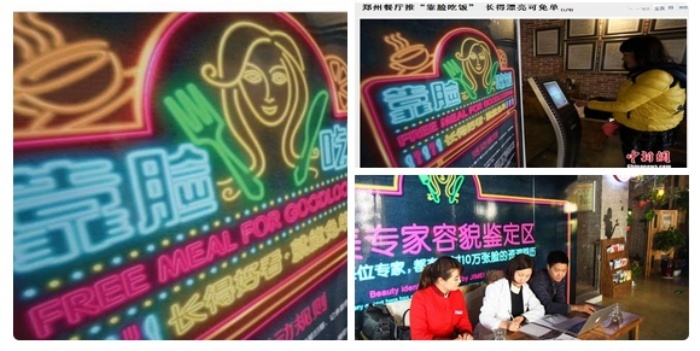 A restaurant in Zhengzhou, China is running a promotion where people can get their meals for free if their beauty is perceived as above average by a panel of plastic surgeons. The news was met with criticism for obvious reasons. In a world where we’re bombarded with images of men and women who look like they were Photoshopped to life, news like this certainly doesn’t help people’s body image.